The MP pedals are truly great. they’re like little works of art. sonically they are very versatile and believable and can be tweaked to a variety of approaches and responses. They have a lot of unique character, not just more generic sounding crap or knockoffs of existing designs. they also FEEL great to play! the OD pedals especially really respond well to variances in playing style and dynamics… and they make the best phaser EVER! The aesthetics are great too… cool colors & finishes and they’re really solidly built. 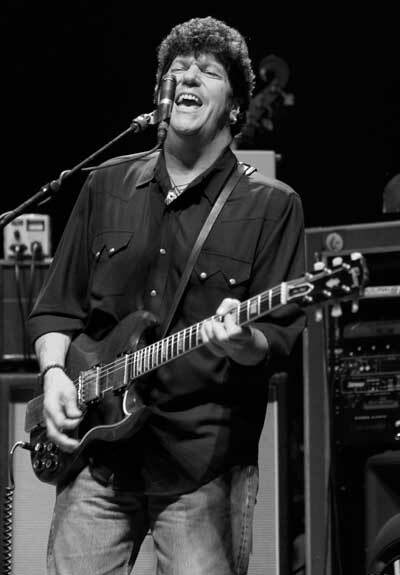 Since 1998, Mark has been touring with the extended “Grateful Dead Family” (The Other Ones, Mickey Hart’s Planet Drum, Phil Lesh & Friends and Bob Weir & RatDog). Performed with “who’s who” and toured around the world.